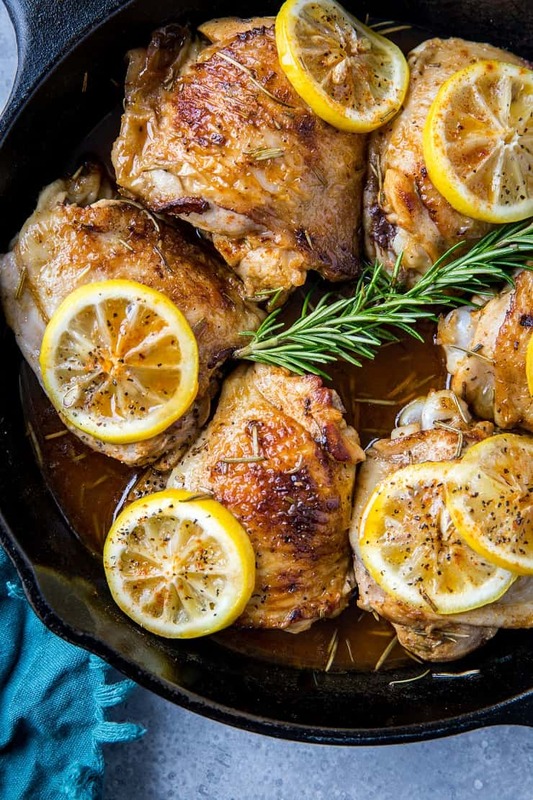 Succulent fall-off-the-bone braised chicken thighs made easy in your cast iron skillet. This clean and healthful dinner recipe is perfect for low-carb, paleo, or keto living. I recently took a poll on my Instagram stories asking what type of recipes you all would like to see in the coming months. 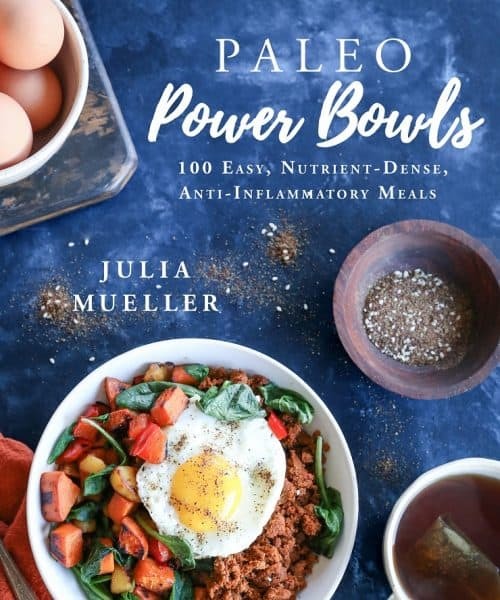 The overwhelming consensus was easy paleo or keto dinner recipes. WELL, this was music to my eyeballs, because these are the exact type of recipes I enjoy creating. Needless to say, this simple take on braised chicken thighs turns out so finger-licking good! The skin is nice and crispy, and the meat is fall-off-the-bone tender. The whole experience just melts in your mouth. 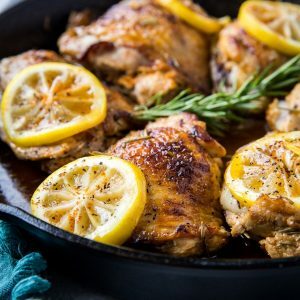 All you need to prepare this recipe is chicken thighs, lemon juice and zest, rosemary and some spices. BOOM! Grub. You likely already have most of the ingredients on hand! Serve the chicken thighs with your favorite side dishes, and you’re golden! 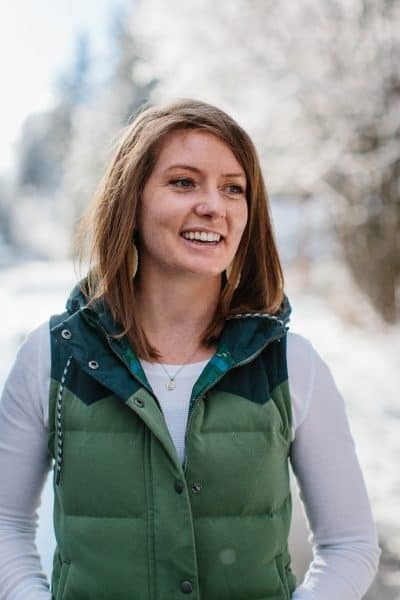 Might I suggest Cauliflower Rice , My Easy Go-To Stir Fry Vegetables Recipe , Pesto Quinoa Salad with Asparagus, Avocado, and Kale , Orange-Ginger Roasted Carrots, or my Crowd-Pleasing Roasted Vegetables? This is a marvelous meal prep recipe for preparing ahead of time and eating on throughout the week. It also makes for great meal prep work lunches! 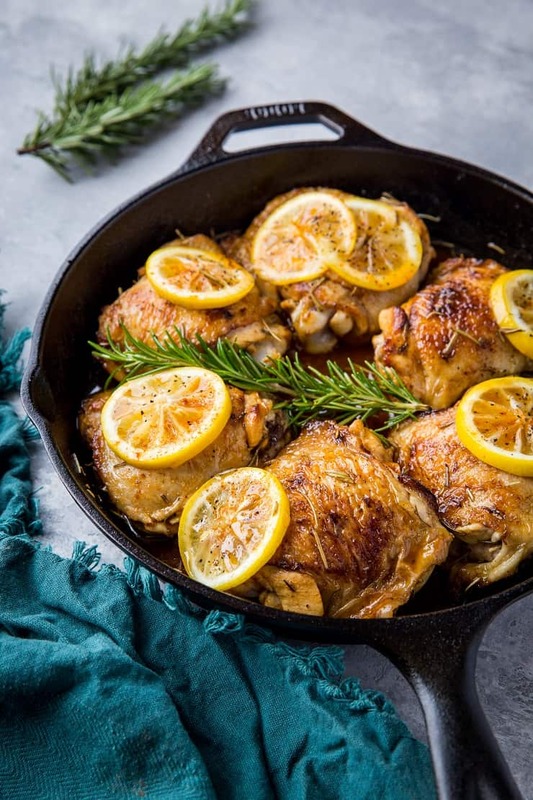 If you make this Lemon Rosemary Braised Chicken Thighs, please feel free to share a photo and tag @TheRoastedRoot on Instagram! Add all ingredients for the chicken except for the lemon slices to a zip lock bag and shake well. Seal and refrigerate to marinate for at least 20 minutes, up to 12 hours. Heat a large cast iron skillet over medium-high heat and add just enough oil to lightly coat the surface. Once hot, place chicken on the surface skin-side down and sear 3 to 5 minutes, until skin is golden-brown and appears crispy. Flip to the other side and cook an additional 3 to 5 minutes. Transfer chicken to a plate and repeat for remaining chicken. Once all chicken has been browned, transfer all of it back to the skillet including the juices from the marinade. 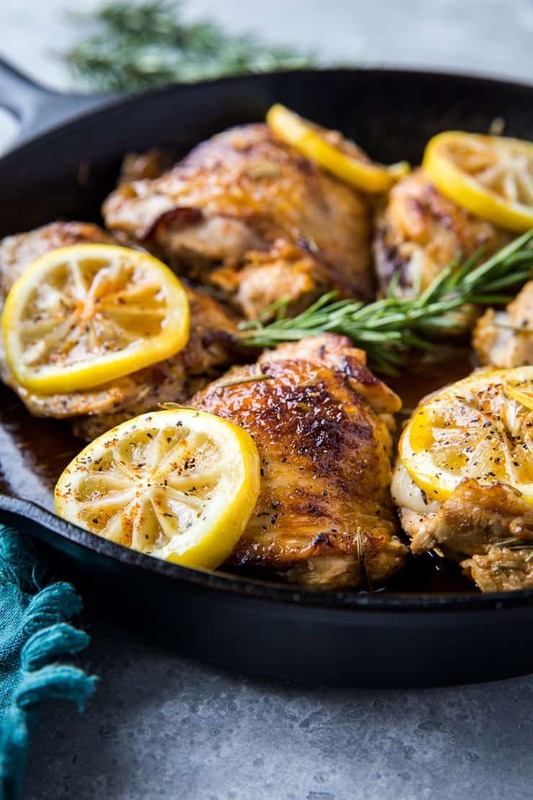 Arrange lemon slices on top of chicken, cover the skillet with foil, and transfer to the preheated oven. Bake 30 to 40 minutes, until chicken is cooked through. Serve with your choice of side dishes. This recipe looks great but I don’t see the rosemary listed in the ingredients. Oops! Thanks for catching that! Added! how long to you marinate the chicken? Would it be ok overnight?